For most of the country, spring has sprung. People have started opening their water features and Mother Nature is now beginning to wreak havoc on your creations. Cleaning out your water feature at the beginning of the season can be a daunting task, but with these helpful tips, your feature will be up and running in no time, and will be as beautiful as ever. Between the months of March and May, ponds need tender loving care depending on which part of the country you are located in. For pond owners, this time of the year can be a bit complicated, but with a little more attention, it can be easily managed. When opening your pond, be sure to remove all the left over fall debris to give your pond a fresh start to the season. Although unlikely, some ponds may need to be completely drained and cleaned, this is costly and may be unnecessary. A good clean up with netting out leaves, debris, and string algae may do the job. Once you’ve done some clean up and your skimmer, pump and biological filter are running, you will need to begin beneficial bacteria treatments which should continue until you close your pond in the Fall. You may be wondering why you have string algae in your pond after the winter months, this is due to the amount of nutrients in the water being greater than the things that consume them, like plants, fish and beneficial bacteria. Once it becomes balanced again, the string algae should clear itself up. Liquid and granular algaecides can help reduce growth, but your main goal should be to have your filter system and plants with the aid of beneficial bacteria, remove algae, naturally. Adding aeration to your pond is another way to enhance the water clarity and quality. When it comes to Pond-free applications or Fountains, although they will be easier to maintain, will still need your attention from March through May. Like opening a pond, you will need to clean up any leftover fall debris, and re-connect your pump to get the stagnant water moving again. You may have a slight rotten egg smell, but once you turn on the feature, this should pass after about 24 hours of water circulation. Mother Nature takes its toll on these types of water features also! Algae will start to form in the streambed of a waterfall and on a decorative piece. Liquid and granular algaecides can help reduce the growth and keep the feature clear. Another great option for these features is a copper ionizer, which releases a small dose of copper ions into the water to ward off algae. Remember, very small doses are all that would be needed (around .02ppm), so make sure you are testing your copper levels if you are using an ionizer. 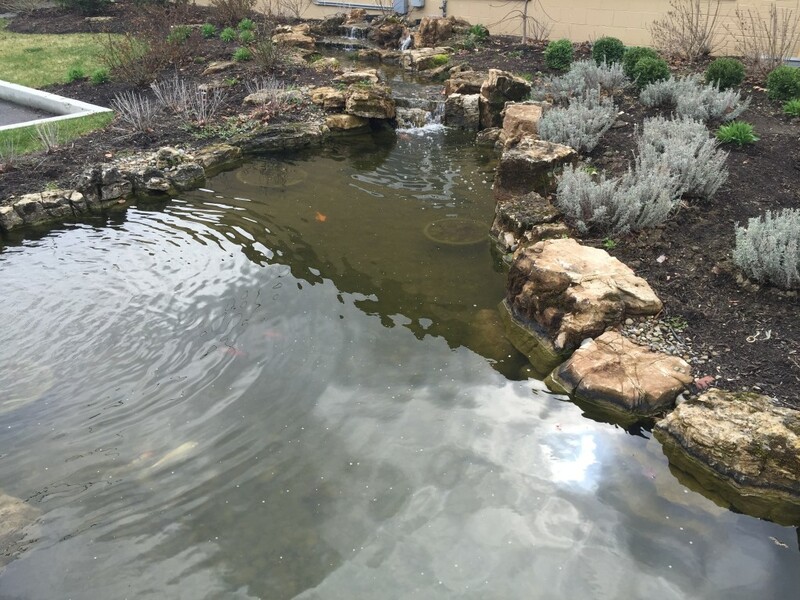 Feel free to add your tips and suggestions about what you do to get your water features up and running for the Spring season! How do you work with Mother Nature versus fighting Mother Nature? Jim is the National Sales Manager for Atlantic Water Gardens. 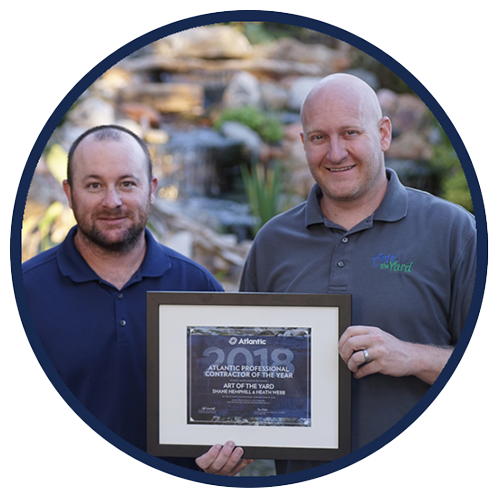 With 26 years of sales experience and 16 years in the water garden industry, Jim is your go-to guy for selling water features.